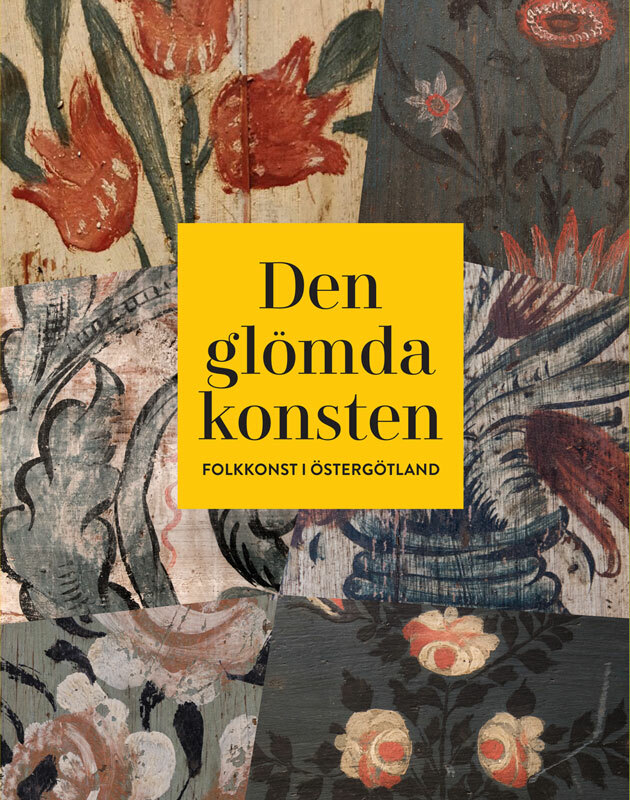 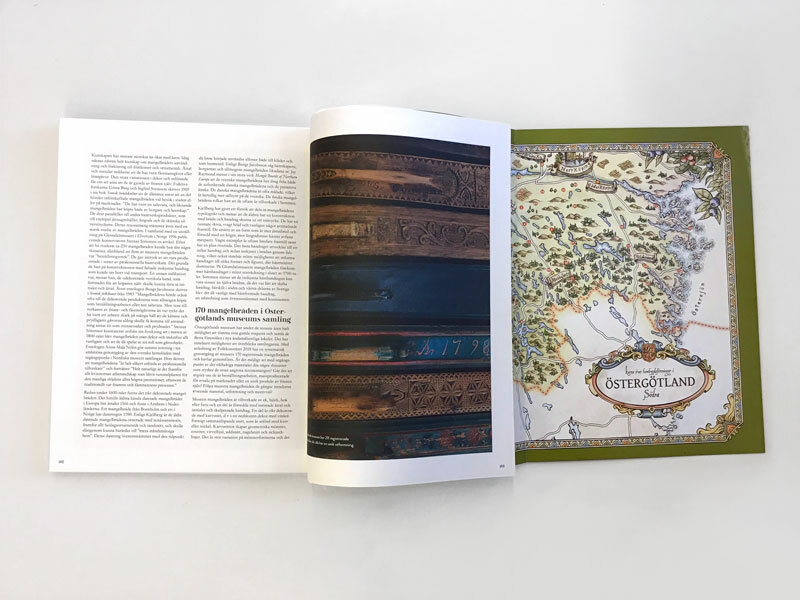 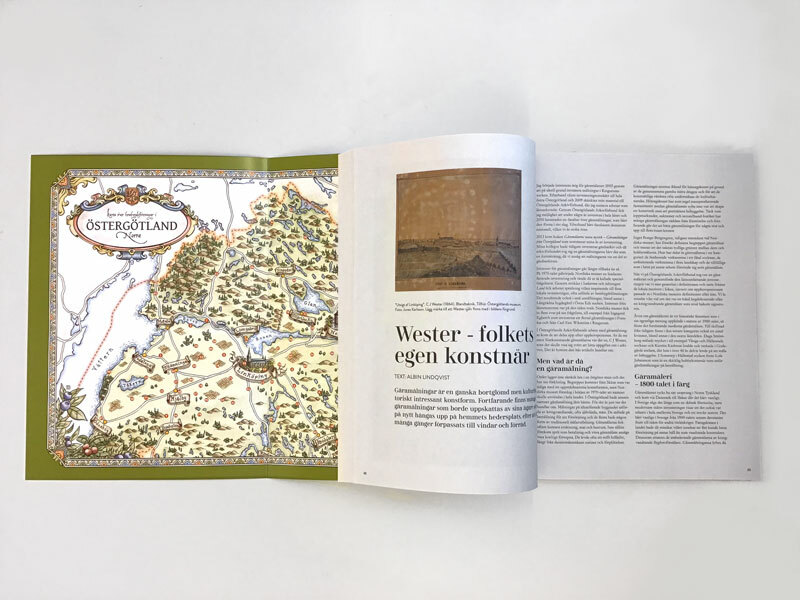 The 2018 annual of Östergötland Museum, dedicated to folk art in the Östergötland county. 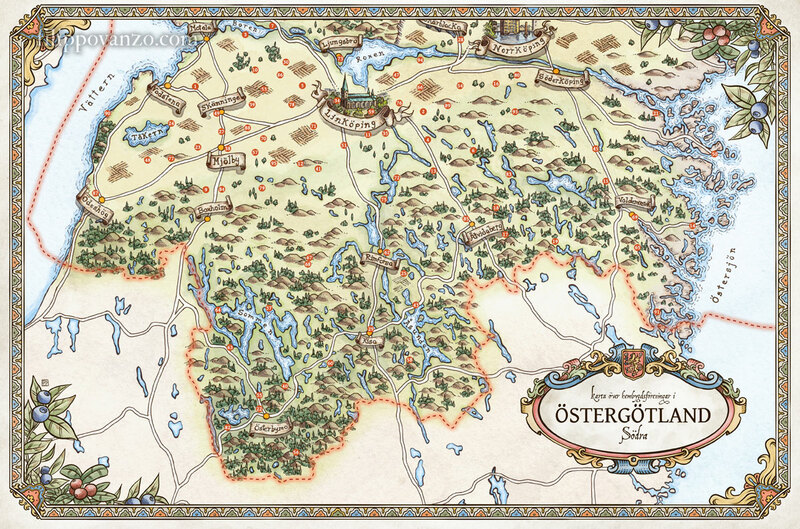 I illustrated a map of the region, showing all the hembygdsföreningar (Local Trasitions Associations) in the county. 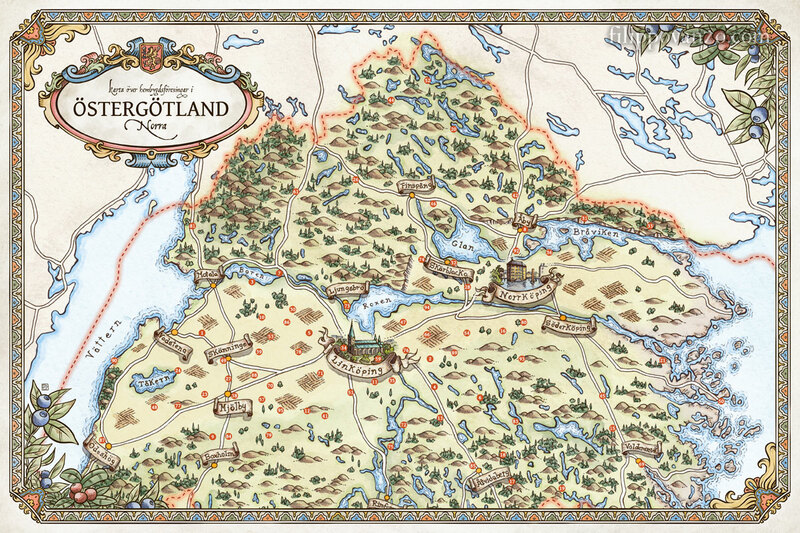 The map is divided into North and South.